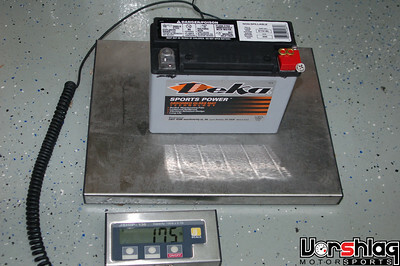 I want to get the Deka ETX 14 battery http://www.dcpoweronline.com/product...d24676ccd61e78 for my street/track E36. Does anyone has any issue with this battery? the DEKA ETX14 is like half the price compare to odyssey 680, is the 680 really better? what are the specs for the battery? The Deka are good batteries and appear to be the same as the much more expensive Braille. I am using a "big" Deka, the ETX30L in my daily driver in the winter and it is starting my 99M3 at 0 degrees even after sitting for three days. Search for cold weather lightweight battery and you will find a thread with some interesting data and links. Geez, 4 years ago I bought the PC-680 for $55 off of Ebay. Now their over $100. I have the 14 and have had no problems starting my car in cold weather BUT I can definitely feel it struggle to start if I listen to the radio or have left the dome light on, so I've gotten out of the habit of both. Fair has stated that they've worked great for him, but need to be replaced like clockwork every 2 years. I started running the 14 in May. It worked great as long as I drove the car 1x week. I haven't driven it in a while, so I keep the battery tender on it. But it still works fine. Great battery for the $$. Yes, we have switched to Dekas in most of our competition cars. There's a Deka ETX18L in our E30 318is STS car. It sat for over a month - but it fired right up yesterday in cold weather and started like a champ 4-5 more times that day, driving all over Dallas with an open exhaust (the "Louder the Prouder", right?!). So far the Deka AGM batteries seem to be as good as the Odyssey PC680 we've used in a daily driven Solo car for the past 3 years - but costs a good deal less. I paid $87 shipped for the -18 Deka, and a new Odyssey is $125 from our normal sources. The top post mount is a little different looking between the two (see above) - the PC680 just has tapped M6 holes in the top for adding SAE posts, and the Dekas have a more motorcycle looking "spade" type terminal receiver blocks (but are also tapped for the same M6 SAE posts) but otherwise both are made with the same AGM battery technology. This took several pointless phone calls then just a blind faith order to figure out the M6 tapped hole thing, as the Deka website had zero data on the terminal hook-ups for these. We ordered 3 different sizes of Dekas at once and they were all tapped with M6 holes, which probably means they all are. 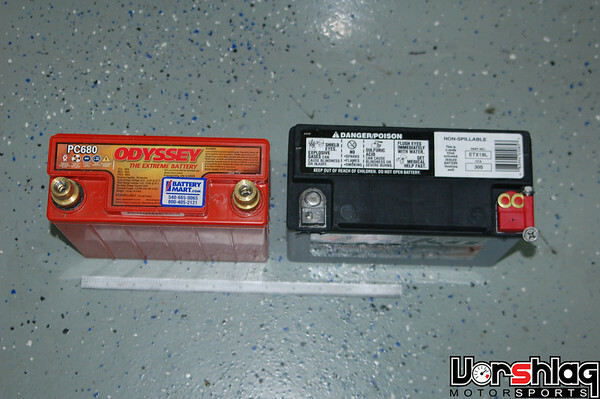 Don't forget - neither the Deka nor the Odyssey AGM motorcycle batteries that we tend to use in or race cars come with SAE automotive style top posts, which are another +$8-9/pair. I am neither a Deka dealer now do we have any affiliation with Deka or their distributors. Just a satisfied customer of this lower cost AGM battery option. YRMV. there are mounts out there. some are simple trays and some are billet mounts. Also, the battery come with different AH rating, does higher rating mean more power? Anyway, I think I might go for ETX 14, can't wait to take out the 30 pounds off my st/track toy! i was strictly going on weight...my 680 weighs in at 12....although i see it listed as weighing 17....i can't explain that, maybe marketing speak, delivering lighter than what is advertised? dunno.. The Deka's were all within a half pound of what they were shown to be in the spec sheet (all were a hair lighter). For those who need cold weather use but want maximum weight savings when possible, I have an idea. Buy two smaller Dekas, like ETX14L or 16L or 18L, run both in winter and remove one in the other three seasons. It is a lighter, but more expensive alternative to running the big Deka ETX30L that weighs 22 lbs that I am using for 4 season use (the Texas cold that Fair recently experienced is not quite like the New Hampshire cold -- CCA at 0 degrees F are far less than at 40 degrees F). My 680 dies after sitting for more than a week. I just put a battery tender on it and plug it in now. It is pretty normal for my car to sit for weeks at a time and its not a big deal. In the summer I never use a tender and have no issues. My 680 is about 1.5 years old. Battery Mount. They are expensive and can be made for only a few bucks and some time. 680 is good, I used to have one in the Supra but gave it to my buddy. Problem for me was it would loose its cranking power when the car sat for a few weeks. My buddy hasnt had a problem, thats due to the fact that he daily drives the car. I plan on getting the slightly larger odessy when I get the Supra running again, hopefully I dont see the same problems. Is there anything special about this Deka battery? It looks like a run on the mill motorcycle/atv/personal watercraft battery that can be purchased at any local powersport shop. Most shops sell the brand name Yuasa. 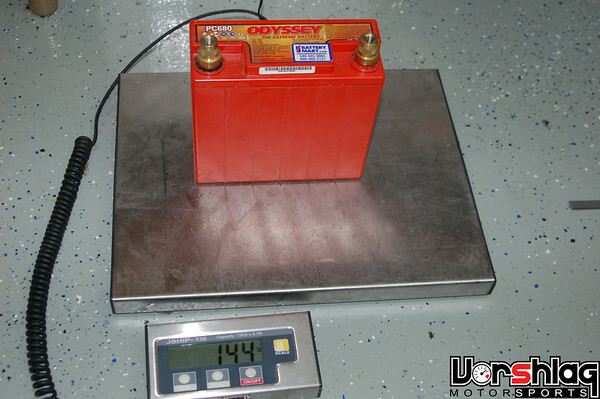 Something like a YTX20L-BS is a sealed battery and appears to be comparable to this. So I picked up a Deka ETX18L for my E36 and the only thing keeping me from installing it is the mounting. I've looked around and there are a bunch of great looking holders (most notably the Wiles box) but $80 seems a bit excessive, so what are some other (cheaper) holder ideas? 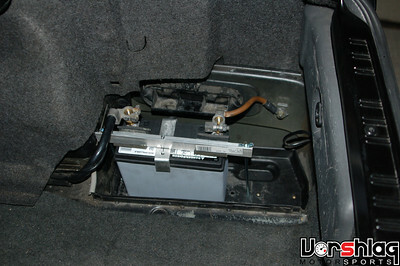 I want something that will keep the battery from moving at all since I autoX I don't want this flying around the trunk. Either make your own with angle aluminum brackets and other supplies or buy something that is pre-made and save yourself a lot of time. You can also buy generic battery hold-downs at any auto parts store, but again, you spend more time, less money.